Marugen Koi Farm is pleased to post an update on the offsprings of “M Tanchozuru”. 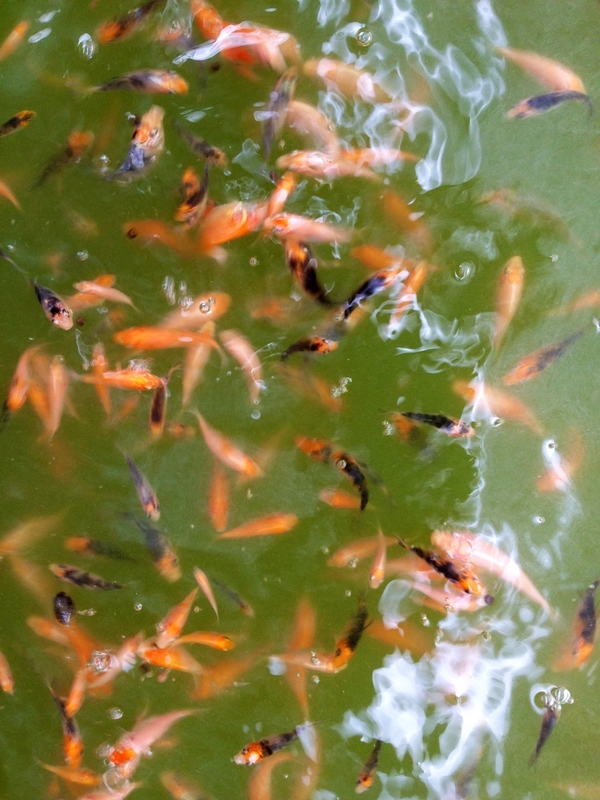 The baby koi fries are now about 4 weeks old, and are eating well and growing healthily in the mud pond. Some patterns have started to appear on top of the baby kois, and very soon, they will be ready for first culling. “M Tanchozuru” is our new oyagoi, and female parent fish to the above baby koi fries. She is a beautiful Tancho Kohaku (snow white skin), bred by the world renowned Japanese Koi breeding farm, Sakai Fish Farm, which happens to be the new World Record Koi Farm holder for the Most Expensive Auction Koi Fish, for a Sakai Sanke in the recent Sakai Fish Farm Koi Auction 2013.